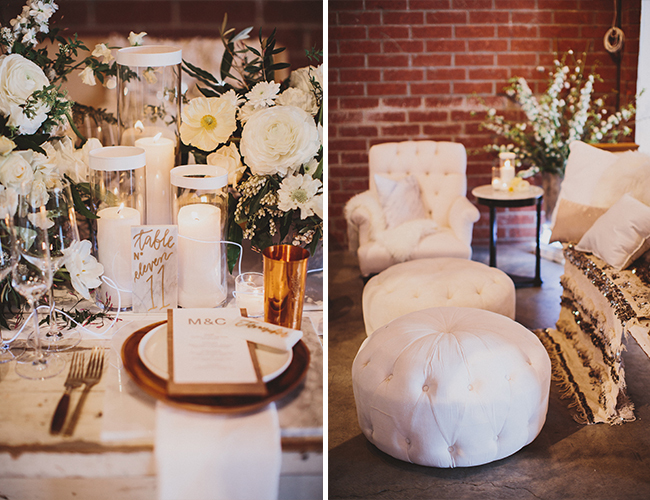 Last month we were honored to participate in LA's coolest wedding event: The Cream Event! 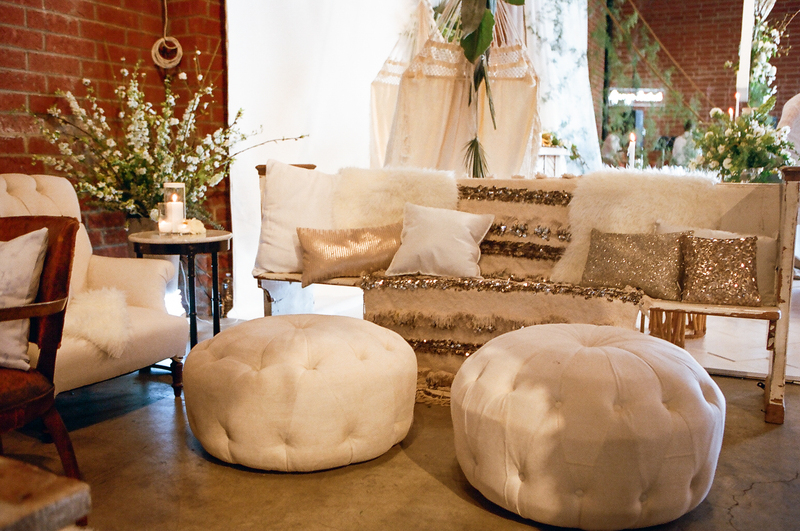 We were given a color palette and mood/inspiration board (this year's theme was creams and whites) and partnered with the fabulous Stella Bloom Designs & Found Rentals to dream up an inspiring space for attendees! We loved seeing how creative all our industry peers were too - as you walk around the event floor it was incredible to see everyone's different interpretation of the same inspiration, which is what is so fascinating about weddings! 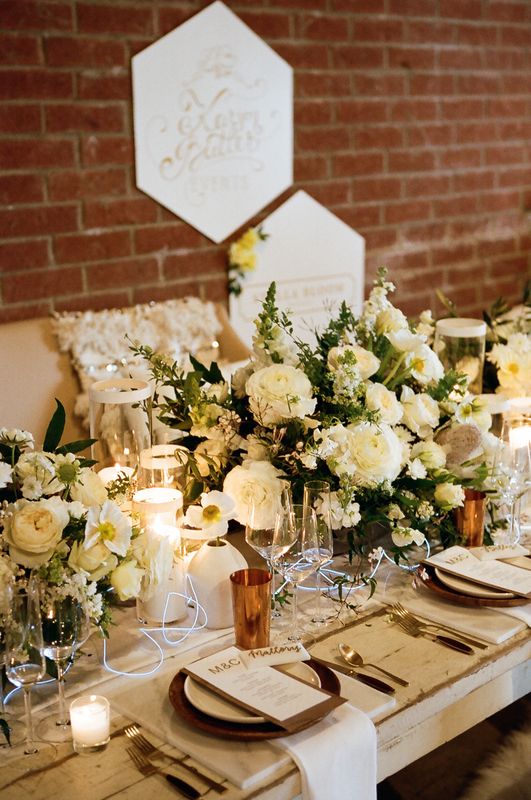 It is a one-of-a-kind live event experience you definitely don't want to miss, and we were so honored to be invited to design alongside the best Southern California's wedding pros - the "cream of the crop" indeed! Amy with Stella Bloom Designs wowed us with an incredible asymmetric garland that extended from the roof line to frame our our tablescape! 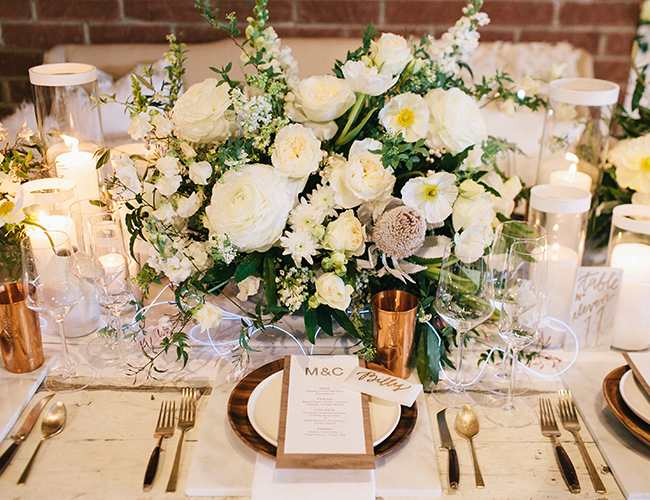 For our tablescape, we wanted to mix mediums and used wood, glass, marble, copper, leather, furs, and even neon! 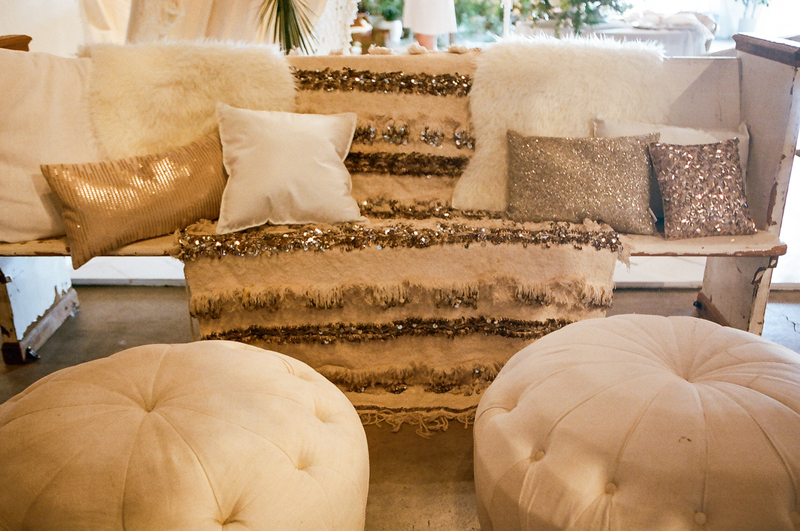 The layered look was beautiful with just the right amount of edginess! Special thanks to Borrowed Blu for the incredible tablewares, Bliss and Bone for the marble letterpress menus mounted on wood and T&S Craft for the calligraphy. 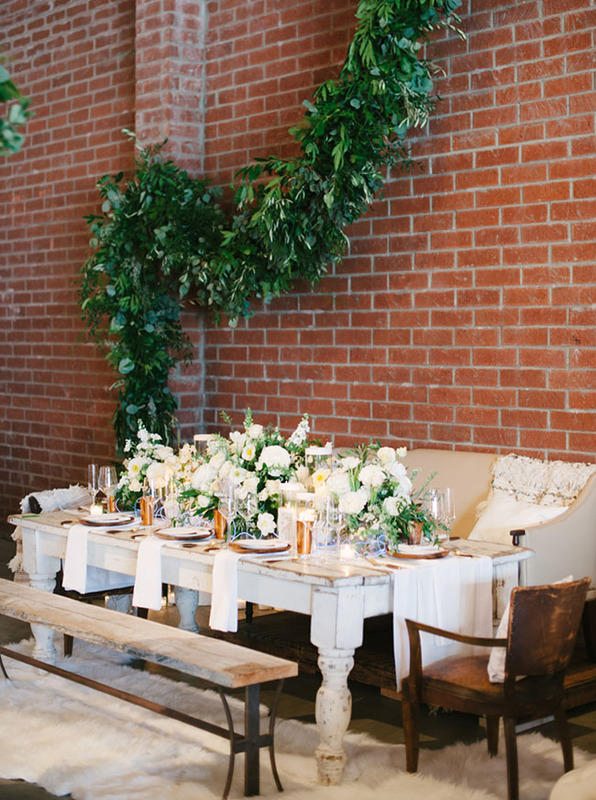 And an extra special thanks to Found Vintage Rentals whose magical pieces brought our space to life - from the gorgeous wood dining table, to the sleek leather benches, church pews for our lounge to the Moroccan wedding blanket throws, their inventory is just so so amazing. You can see even more from The Cream on the official recaps on Grey Likes Weddings, Green Wedding Shoes, 100 Layer Cake and Inspired by This or in our gallery! 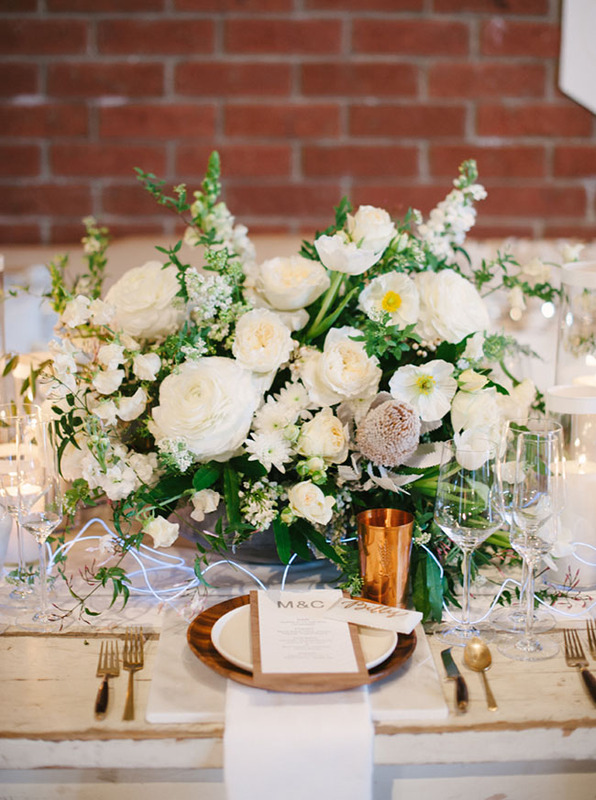 Photos by Michael Radford & The Wedding Artists Collective and Brian Tropiano!